In these days Apple the community has discovered that is vulnerable to WireLurker, a new strain of malware that is able to infect Apple iPhone and iPad syphoning user’data. The malware was discovered for the first time by experts at Palo Alto Networks that revealed it exhibited behavior that had never been seen before malware targeting Apple mobile devices, unfortunately, it has yet to be patched. Meanwhile the security experts analyze the WireLurker case, the disclosure of a new attack in the wild exploiting a vulnerability dubbed the Masque is attracting the interest of the experts. Practically the exploitation of the Masque flaw allows bad actors to replace enterprise-signed apps, overwriting them with trojanized apps. The Masque vulnerability allows an attacker to swap out a legitimate iOS app with a malicious one, the attack scheme is effective against jailbroken and non-jailbroken devices. Masque affects iOS 7.1.1, 7.1.2, 8.0, 8.1, and 8.1.1 beta, its attack schema is quite different from WireLurker that infects Apple mobile devices once connected via USB, but it can also be run remotely via an SMS or email message pointing a victim toward a malicious app. 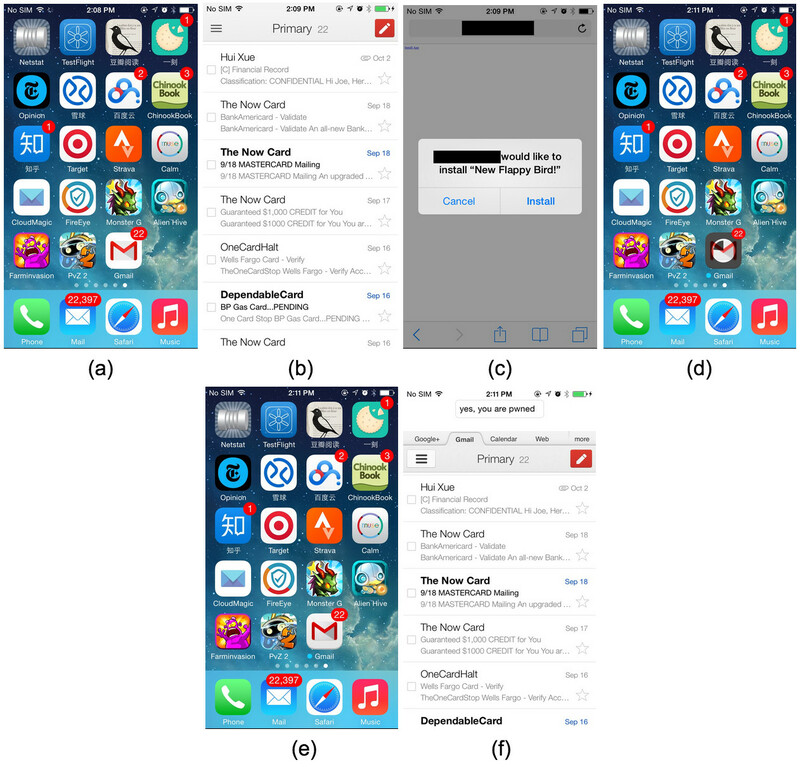 Also in this case the problem seems to be caused by a poor implementation of an authentication process, the expert Tao Wei, a senior staff research scientist at FireEye, explained that Apple’s enterprise provisioning feature does not analyze digital certificates for apps given identical bundle identifiers. The Enterprise provisioning service implemented by Apple allows enterprise iOS developers to develop and distribute iOS apps without having to upload the app to Apple. Wei speaking about the WireLurker, explained that it is the unique case of attack up until now observed that is exploiting the Masque vulnerability. Let’s remind that the WireLurker malware in a first stage infects a host (desktop or laptop), which downloaded the malicious software from the web, then it waits for an Apple device (i.e. iPhone or iPad) to be connected via USB. 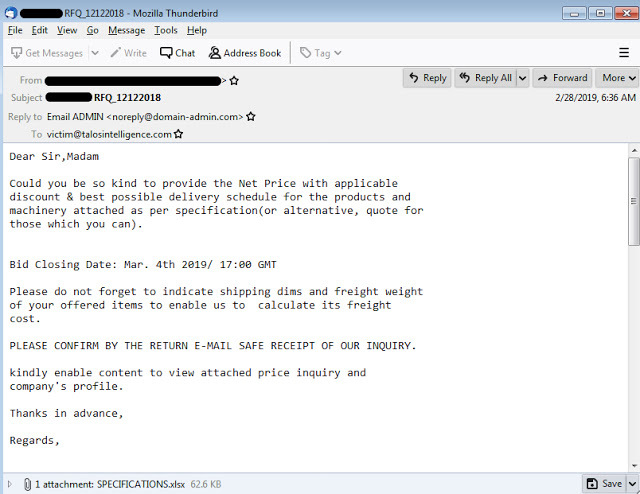 The blog post published by FireEye also includes a demonstration of an attack, the experts have exploited the Masque replacing a valid Gmail app downloaded from the Apple App Store with a malicious version of the same app that is able to syphon the user’ messages. The attack starts with an SMS sent to the victims that invite it to download a new version of a legitimate app New Flappy Bird. “In one of our experiments, we used an in-house app with a bundle identifier “com.google.Gmail” with a title “New Flappy Bird”. We signed this app using an enterprise certificate. When we installed this app from a website, it replaced the original Gmail app on the phone.” states the post. “By using the Masque attack, attackers can get all your existing sensitive data on your iPhone,” Wei added. The attack is very dangerous, a bad actor would be able to mimic the original app to steal user’s credentials, the risk is serious if we think the possibility to compromise also signed banking apps. Experts at FireEye also explained that user’s data stored in the legitimate app’s directory, including local data caches, could be accessed by the malware. The principal problem for the security community is related to the simplicity in the exploitation of the Masque vulnerability. Do not download mobile apps clicking on a link received via email, text messages, or present on a web page. Don’t install apps offered on pop-ups from third-party websites. If the mobile device displays an alert about an “Untrusted App Developer,” click “Don’t Trust” on the alert and uninstall the application. Happy BirthDay Security Affairs - three years together!